August is Women’s Month, and we have chosen to focus on the importance of pelvic floor control. You may ask, what is the pelvic floor? The Pelvic Floor is a group of muscles that lie in the pelvis, forming the base of the abdomen. They are shaped like a “hammock” supporting the bladder and the urethra. Hence, contraction of these muscles, or the ability to use them consciously, gives one bladder control. Did you know that many women experience poor bladder control after pregnancy? Hormone changes occur during pregnancy, which cause ligaments to become lax, therefore widening the pelvis. The pelvic floor muscles weaken due to these changes. 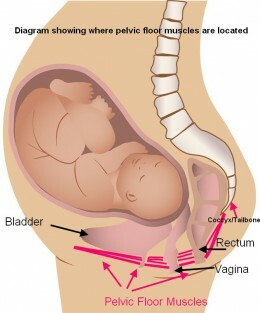 Pelvic floor exercises, done prenatally, can decrease the risk of incontinence after having your baby. Pelvic floor weakening does not only occur with pregnancy, but can also occur due to aging, menopause, or lower back pain. So strengthening of the pelvic floor is important for both men and women. In Pilates, the Pelvic floor muscles work together with the Diaphragm above, the Transverse Abdominus (which forms a corset around the abdomen) and Multifidus (which provides support along the spine). This group is jointly known as the core muscles. Pilates is an excellent form of exercise for strengthening the core and the pelvic floor muscles. 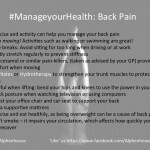 This strength can improve quality of life by helping to relieve back pain (by releasing the pressure ‘carried’ by the spine), gain mobility and flexibility, and gain bladder control. We encourage men and women of all ages to try Pilates. Come join our weekly classes at Alphen House, or book an individual session (All classes and sessions are run by Physiotherapists).